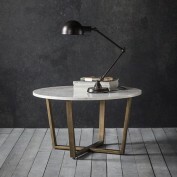 Make a style statement with the luxurious Cleo round coffee table. 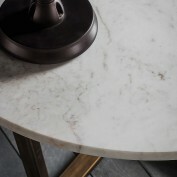 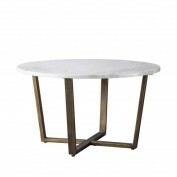 This gorgeous piece boasts a brushed brass metal frame and beautifully grained Volkas marble table top. 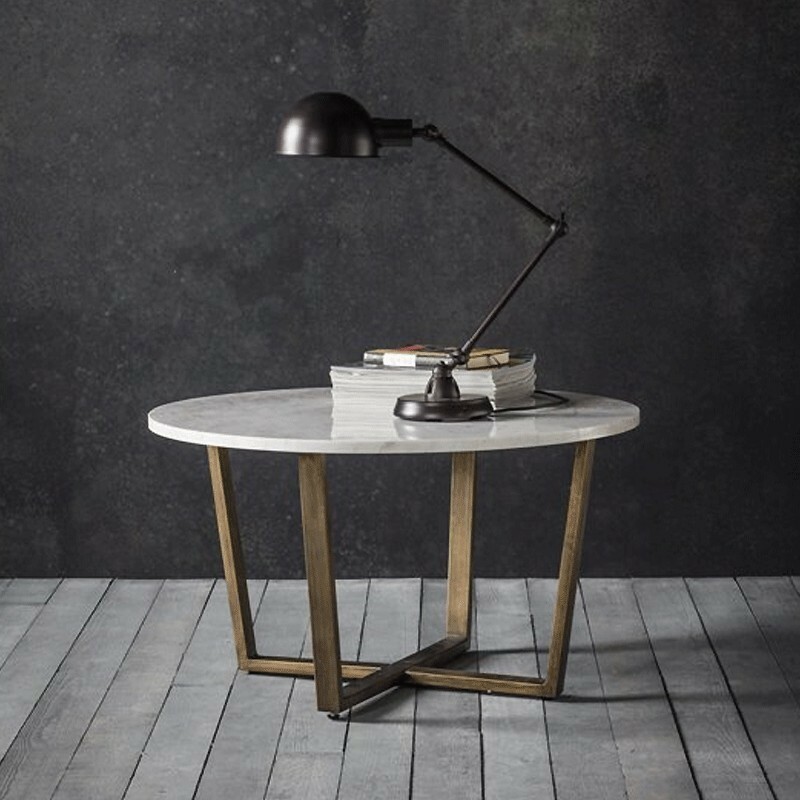 The ideal centrepiece to any design-led living area, the Cleo round coffee table’s vintage-style is sure to catch the attention of guests and it measures a compact H46 x W80 x D80cm. 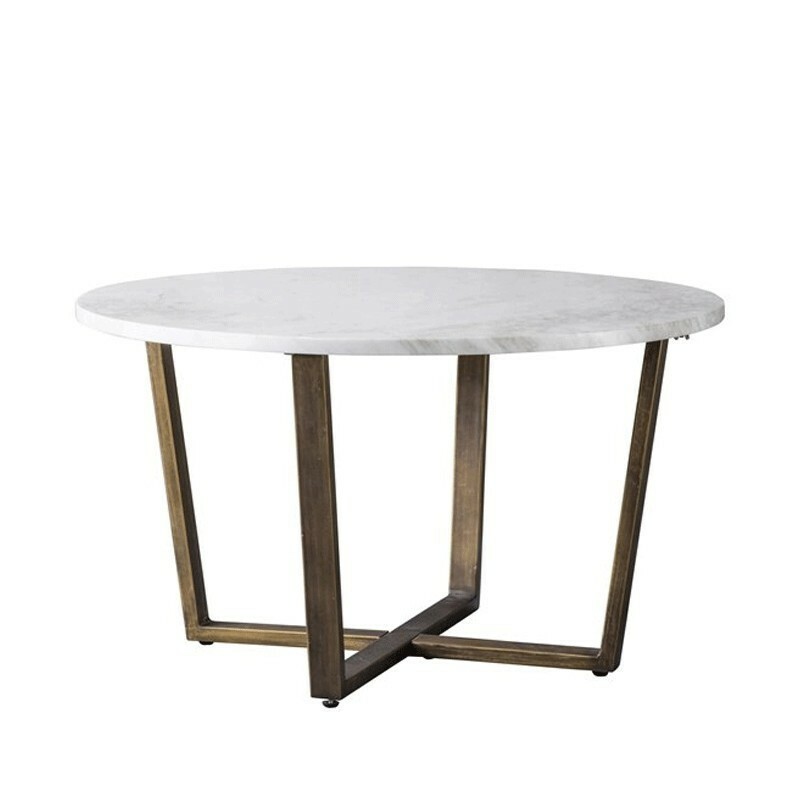 Its angular profile and clean, geometric lines nod towards Art Deco, yet this coffee table would also look stunning in a contemporary setting. 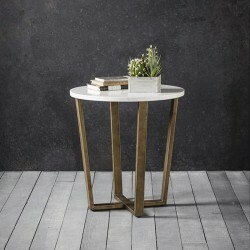 Perfect for a design-conscious individual, the Cleo round coffee table proves that luxury need not cost the earth. Luxurious pieces like the Cleo do require love and care, though fortunately marble and brass are very simple to look after. A wipe down with a cloth once a week will keep the surface dust-free, and a periodic clean with a damp cloth will give this round coffee table a sparkle for years to come. 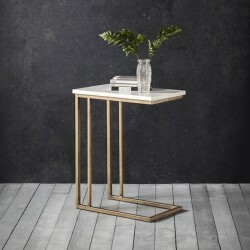 The brass legs will also need a thorough clean every few months using a dash of baking soda or vinegar, before being wiped down with a natural cloth such as cotton.